Ultimate schedules are tough. Whether you’re building towards a championship as part of a dedicated squad or just cruising the summer fun tournament circuit, the demands placed on our bodies can’t be taken lightly. 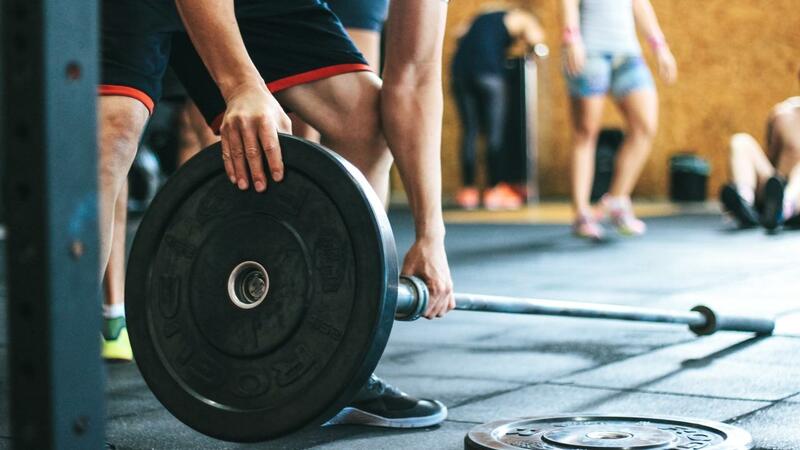 If we want to manage our busy calendars and still perform at our best, while staying in good shape to avoid injuries, then planning workouts around your team training and weekend commitments is crucial. Hard weekends can leave you tempted to completely write off Monday for recovery and Friday to prepare, but I’m a firm advocate of moving every day. We want to recover, maintain what we (hopefully) worked hard for in the off season. And a Friday workout can keep your body fresh and your neurons firing without overloading your legs. The priority is to rest and recovery post tournament or practice. REcovery is best accomplished with a light workout: Do a proper warmup to move your joints through their full range of motion, then something that’ll get your heart pumping and your lungs working. Twenty to thirty minutes of 30 seconds on 30 seconds off intervals at 60-70% pace is a good way to go. If you’re going a lower/upper split, do legs earlier in the week so you don’t have to worry about fatigue on the weekend. Alternatively, you can do a heavy/light split. In a heavy/light split you’ll focus on the big lifts (squats, deadlifts, bench press and pullups) on Tuesday and do your assistance or more functional lifts later in the week. In a heavy/light split, both workouts should be full body strength sessions. I’ll do any kind of throwing workout, training, pickup, or some speed and agility drills with conditioning. Something where I can focus on working hard at more ultimate-specific skills or technique. Another lifting day. In an upper/lower split this is when you’ll do your upper lifting session. If you find yourself always skipping upper body, then change to a two day/week full body session. The heavy/functional split will do this for you. Today is when I’d do my more functional strength work and I might adjust the volume depending on how I’m feeling. Two sets gives you almost the same benefit as three. It is better to get in a short session than no session at all. Pre-tournament workout: A few speed and agility drills paired with a light conditioning workout. This really helps to keep your nervous system active and ensures you won’t feel sluggish Saturday morning—it’s much better preparation than a day of doing nothing. I always try to do this regardless of whether or not I have practice or a tournament on the weekend! See an example of a good pre-tournament workout here. With a schedule like this it IS possible to maintain your strength, agility, and speed over the course of a long season. It’s okay and even advisable to keep training all year long. If you want to know exactly what to do each day during the season, you can join The Ultimate Athlete Project. Choose a schedule from 2-5 days/week that works for you. We’ll make sure that whatever time you put into training this season is as efficient and effective as possible.